He was Edgar Gorer and his First Class Ticket was number 46057 and his Saloon Cabin was number B73. He was making the return trip from New York to his home in London aboard the Lusitania. He had come over in January to arrange for an exhibit of the Henry Sampson Collection at Dreicer’s on Fifth Avenue. He sailed May 1 but never made it home. He died when the Lusitania was torpedoed by a German U-boat 11 miles off the south-eastern coast of Ireland on May 7, 1915. It was reported that, although at one point he was in possession of a lifebelt, he gave it away. The only member of his party of nine to survive was Frank Partridge. To understand the full story of how Edgar Gorer became a well-known and respected Antique Dealer, we must go back to the arrival in England, in the early 1800’s, of his grandfather Lewis Gorer. Lewis was from Prussia and was likely part of the early wave of Jewish immigration in the 19th century. Many of these immigrants settled in the seaside ports, including Brighton, where in 1839, Lewis married Hannah Abraham Cohen. By 1851, according to the census, he had moved and was living at #7 North Street in Stepney, London. He was listed as a General Dealer. His 4 children were Solomon (10), Adelaide (9), Barnet (6), and Esther (3). By the 1871 Census, Lewis had died and Hannah was living with her son, Solomon (29), his wife Helen (vanGoor) and their children, Lewis(2) and Annie (infant)) in High Street, Kensington. Solomon was listed as a Tobacconist. Solomon quickly established himself in London, as by the 1881 Census, he was living at 32 Delamere Crescent in Paddington and was listed as a Silversmith. His third child Edgar had been born and was 8 years old at this time. By 1891, Solomon had moved to 113 Edgeware Road and was a Gold and Silversmith. Edgar appears to have moved out, though the two older children were still living at home. In 1901, the family was back together again in a new home in Hampstead at #16 Greville Road. Solomon had been busy expanding his business and by 1886, had additional premises on the Strand at #433. This was a fancy jeweller’s shop which specialized in artificial diamonds. In 1896, Solomon relocated this business to 59 New Bond Street next door to his son Edgar. He operated as a Silversmith, while Edgar, who had considerable business acumen, was a dealer in Oriental works of art. The final move of both stores was to 170 New Bond Street in 1899. By 1900, the two businesses had become S. Gorer and Son, interior decorators and the Indo China Trading Company which was run by Edgar. Solomon died in 1907 in retirement at Eastbourne. Edgar was really the shining star in the family. 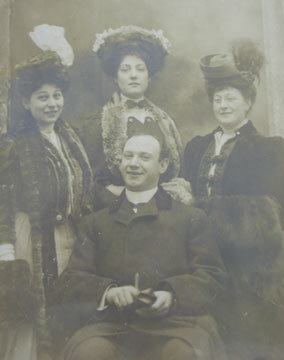 He had married Rachel Alice Cohen at the Hampstead Synagogue in 1902. Ree as she was called, was a sculptor who had attended the Slade school of Art and who was a friend of the poet and writer Edith Sitwell, the eldest of the three Sitwell siblings, Osbert, Edith and Sacheverell, who created so much of a stir in English artistic circles between the wars. The Gorer’s had three sons,Geoffrey, Peter and Richard. 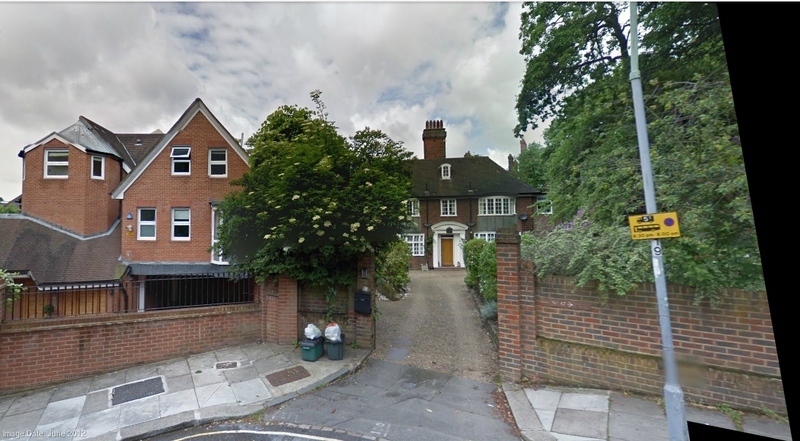 On the 1911 census, Edgar and his family were living at #45 Netherhall Gardens, Hampstead. Geoffrey was 6 and Alfred Mace was 3,( possibly Peter Alfred). The third son Richard was not born until 1913. Edgar continued to grow his business and opened up a store in New York on Fifth Avenue. Michael Dreicer was the sole agent for Edgar in the US and Canada. Gorer, as the business became known, moved Edgar into the realm of an international dealer in Chinese Art, especially Chinese Ceramics, boasting major clients in Britain and across the Atlantic. Edgar gained a reputation for buying up important collections, such as that formed by Richard Bennett, Sir William Bennett, George R. Davies and Alfred Trapnell, and promoting them through exhibition and privately printed catalogues. Dreicer and Co., (Jewels) 560 Fifth Avenue, New York. Edgar entered into two lawsuits as a result of his high-profile activities, one with William Hesketh Lever over the purchase of the Richard Bennett Collection and Duveen over a Kangxi vase, which Gorer had offered to Frick but which Duveen had claimed was a fake. 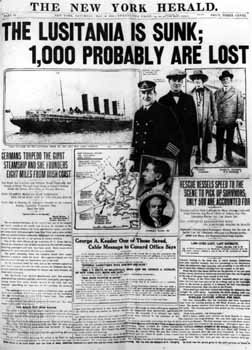 The latter lawsuit, launched to save his reputation, was never heard in court, as on the day of its announcement, 7th May 1915, Gorer was crossing the Atlantic on the Lusitania which was torpedoed and he lost his life. When Edgar died in 1915, he left an estate of 53,ooo uk pounds to his wife Rachel, who died in 1954. RIVAL SUES DUVEENS ASKS FOR $575,000; Gorer Says Art Dealers Called His Wares “Fakes” and Spoiled Sale to H. C. Frick. DENIED HE WAS AN EXPERT And Declared They Were the Real Judges of Art, the Complaint Sets Forth. Edgar’s three sons went on to distinguish themselves in various fields. Geoffrey (1905 – 1985) became a writer and Social Anthropologist and was a colleague of the American Cultural Anthropologist Margaret Mead. Peter Alfred (1907 – 1961) became an immunologist and pioneered transplant immunology in London and, had he not died an early death from cancer, would likely have received the Nobel Prize. Richard (1913 – 1994) became a Horticulturist. He wrote a number of books and also edited Edith Holden’s hand-written diary about wild flowers in the countryside near her home, which she illustrated with water-colour sketches. This work, published as The Country Diary of an Edwardian Lady, became very successful. More people know of Richard Gorer because of this book than from any of his other writings.